About VIETNAM MOTORBIKE TOUR EXPERT Co., Ltd. However, for some reasons there were not many foreign tourists coming to Vietnam for motorcycle tour before year 2000. At that time some tourists who wanna do a motorbike tour in Vietnam they have to do by them self by renting a scooters , buying a road map and ride away from the city regardless of risk and unsafety. They had no choice because there were no motorbike tour companies before year 2000 here. Long, Chung and Cuong are some of the first Hanoi motorcyclists. they are the pioneers in Hanoi who let foreign tourists rent motorbike and show them the good routes to ride, also suggest them where to stay and what to see during the expedition. In 2004, three of them decided to found Vietnam Motorbike Tour Expert Co. Ltd. 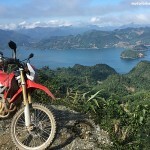 The company firstly organized only short motorbike tours (1 day to 3 or 4 days) in northern Vietnam. Up to now, with dozen years of experience,Vietnam Motorbike Tour expert could offer much longer motorbike tours to any part of Vietnam. In addition, the company can organize another types of adventure tours in Vietnam by Jeep, 4WD, Bus… . We have the services well improved day after day therefore just come to have a tour with us and you will get the right value for your money! We are not yet a largest motorbike tour company in Vietnam, but we are sure that our bikes are the best. We own just around 20 motorbikes and they are all good Japanese bikes imported from Thai Land or Japan and always on the top of working condition. Everyday, all the bikes get the most careful maintenance from our best mechanics. To free worries about the bikes, we promise you to change another bike with the same type if your bike has any technical trouble on the tour. Two important things which make a good motorbike tour is where to go and who to be with. We highly appreciate the ability of tour guides for the motorbike tours so we are not hesitant to spend a lot of time to train the guides, and carefully choose from our friends who love this job! We are proud of having very good guide team who have good skill of riding, can work as a mechanics, know all the good riding route in mountains, are good at foreign language …and simply are good friends ! Flexible way of organizing tours is always our agenda. We do the best to be flexible to make the most interesting trip for you so that we can be the best motorbike tour organizer in Vietnam. Those are the reasons why we would like to make a small or private group, It is easier for us be flexible. On the tour with us, our tour guide will directly organize the trip, he will ride depend on your skill and aspiration. Each touring day, he can change the route and chose what to visit , where to stop or which food is for you…depending on your needs and factual condition. 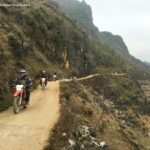 On the way to become the best motorbike tour organizer in Vietnam, Motorbike Tour Expert Co, Ltd are always striving to create new products and further improve the quality and effectiveness of existing products and services. Some of our tours are unique. We would like sometimes take you to the places which do not exist in any guide books or regular maps. We always listen to our customers and learn from them to welcome changes to be better ! We try our best to be the top motorbike tour organizer in Vietnam, we would not like to be the cheapest one. However, with the long-lasting relationship with the local service suppliers and our good reputation for them, we can get very good price from them to give you the most competitive price of all our motorbike tours in Vietnam. We guarantee that customers who book tours with us will get the most reasonable price with the best service possibly!